Everyone needs legal advice from time to time. At J. Watson Scott, we know you want that advice to be personal, efficient and delivered with your best interests in mind. We pride ourselves on offering a friendly, client-focused service. Based in Hamilton, we serve clients throughout Lanarkshire including in Motherwell, Airdrie, Coatbridge and, of course, in Hamilton. We know our clients want to be assured that they are being properly looked after. Our solicitors are committed to providing an empathetic, personal and efficient service. We pride ourselves on looking after our clients' welfare, and when you deal with us, you’ll be dealing directly with a solicitor. 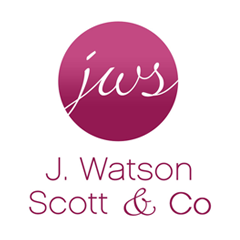 When you instruct J. Watson Scott, you can rest assured that you’ll have face-to-face contact with your solicitor from the outset. If you are planning for the future, thinking of moving home or winding up a loved one’s estate, J. Watson Scott can help. Our friendly, approachable solicitors are here to advise you on Wills & Executry, Property & Conveyancing (Residential & Commercial) and Family Law. Contact us today - call us on 01698 282370 or fill in our enquiry form to get in touch.